Every few months, we read a selection of national newspapers published on the same day and highlight common idioms and phrases in their articles and reports. 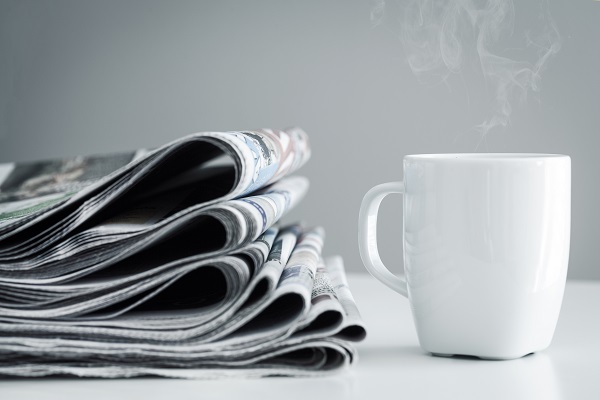 We read all sections of the papers – news, sports pages and gossip columns – and, as ever on this blog, we pick out the most useful, up-to-date idioms. Starting with the tabloids, one paper reports that the government intends to put a tax on plastic packaging in the hope that it will ‘stem the tide’ of plastic junk in our countryside and oceans. To stem the tide of something unwanted is to stop it from increasing or spreading. Elsewhere in the same paper, it is reported that university students who openly support a particular political party are ‘being given the cold shoulder’ by their fellow students. To give someone the cold shoulder is to ignore them intentionally or be unfriendly to them. In the gossip pages, meanwhile, a columnist observes that the secret to a long and happy marriage is a determination to ‘stay the course’. To stay the course is to continue with something even through difficult times. In another tabloid, it is claimed that one celebrity in a television dance contest has ‘fallen foul of’ another. To fall foul of someone is to have a disagreement with them. (You can also fall foul of a law or rule by unintentionally breaking it.) The same newspaper describes an actor who specializes in playing middle-aged men who ‘go off the rails’. To go off the rails is to start behaving badly. A broadsheet, meanwhile, describes a ‘star-studded’ gathering of ‘well-heeled’ attendees. A party, film, etc. that is star-studded involves a lot of famous people. Someone who is well-heeled is rich. The same paper has a profile of the new editor of a famous magazine. It considers whether the newly appointed editor ‘has what it takes’ to ‘fill the shoes’ of the previous editor. To have what it takes is to have the qualities or the character to succeed at something and to fill someone’s shoes is to succeed in doing their old job satisfactorily. The same feature describes where the new editor ‘cut their editing teeth’ many years ago. To cut your political/professional, etc. teeth is to get your first experience of the type of job mentioned. We’ll bring you another selection of everyday newspaper idioms in a couple of months. It’s fantastic you report these idioms on a periodic basis. I hope to keep abreast with these new expressions with your help. Thanks. Yes The Article Is Useful!! Great! I’d like to keep on getting these blocks. Thanks a lot for your collection of idioms. I’m already looking forward to reading the next selection! Thare have a great explanation I hope.. Thank you these idioms are very helpful! I love this because it helps me learn more voc words Great idea huuuu !!! Fantastic! Thanks for the idioms! Very, very good. Congratulations! This is the type of blog we need. Thank you for all your lovely comments! It’s very encouraging. Here’s wishing all of our readers the very best for 2018! The article is helping me to be fluent in English,thank you very much am proud of you!! Very interesting and well explained. I’ll certainly stay the course, using these idioms as best I can. Thanks! I love reading this post. Every article is really interesting.